The Holidays are back. It's a time when we reflect on the many things we are thankful for and look ahead to what the next year will bring. At the top of the list are my wife and child, and the joys of family. But I'm also thankful for the wonder of science, and the chance to play a direct part in it through citizen science. These are fantastic opportunities I love to share. So if you want to share them with your friends and family this Christmas, or if you have a loved on who enjoys citizen science as much as I do, this 2014 Holiday Gift Guide is for you. As an added bonus, many of the gifts below were created or initially designed as part of a successful crowdfunding campaign. Not only will your loved ones enjoy their gift, but you are also encouraging future citizen science projects. Sounds like a win-win to me! Read All About It: Want to teach a loved one why citizen science is so exciting, or do you want to help them understand your love of it instead? Either way, a gift of Diary of a Citizen Scientist is the perfect gift. It will teach them what citizen science is and help discover many new projects you may not have known existed. Bu more importantly, you get a first-hand view of an individual woman's journey into the field as she digs into the ecology near her home, finds out there are many unanswered questions about some of the local inhabitants (tiger beetles), and works with some professional researchers to answer those questions through patient lab technique and field work. It's a personal recommendation of mine, and you can read a short review and excerpts from the book here. In fact I'm picking it up for a family member as well. Trace Your Roots: Citizen science doesn't have to be cold and academic. It can also impact our lives as well as tell us more about who we are. Products like the National Geographic Genographic Project can take your DNA and help discover where you come from and how your ancestors may have lived. The project database is built on previous participants as well as the data you submit yourself, so it continually learns more. Feel free to check them out directly or look at my personal experience with the project here. Similarly, for you pet lovers, Wisdom Panel 2.0 can help you figure out which breeds have contributed to your dog's pedigree and where they came from as well. All it takes is a cheek swab. Do-it-Yourself Biology: Not content to just send samples to a lab and wait for the analysis? Want to do your own sampling, your own testing, and your own analysis (like a true citizen scientist)? Then the tools are coming for you. It used to be that setting up your own lab for testing was prohibitively difficult and expensive, but the DIYBio community has helped change all that. So for gift ideas think of giving some personal lab equipment. 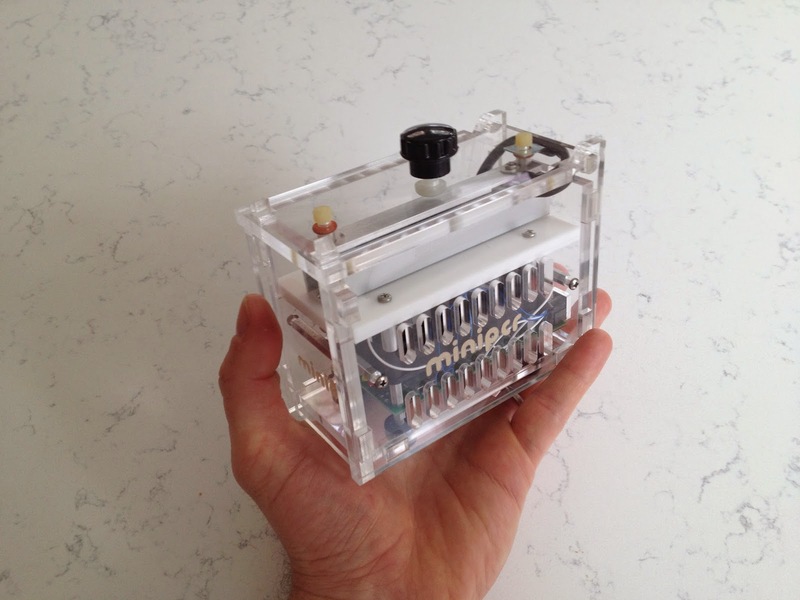 For example, the miniPCR (http://www.minipcr.com/) for DNA testing. Isolating DNA can be done at home (examples abound on the Internet) but now you need to amplify that signal. The miniPCR can do that in a machine a tenth (or more) of the cost of industrial machines. So whether your loved one has a home lab or is working again community Biospace, this can be the perfect gift. Available for pre-order now. 3-D Printing: The Maker movement is one of the newest additions to the citizen science community, and in many ways they embody the future of the field. 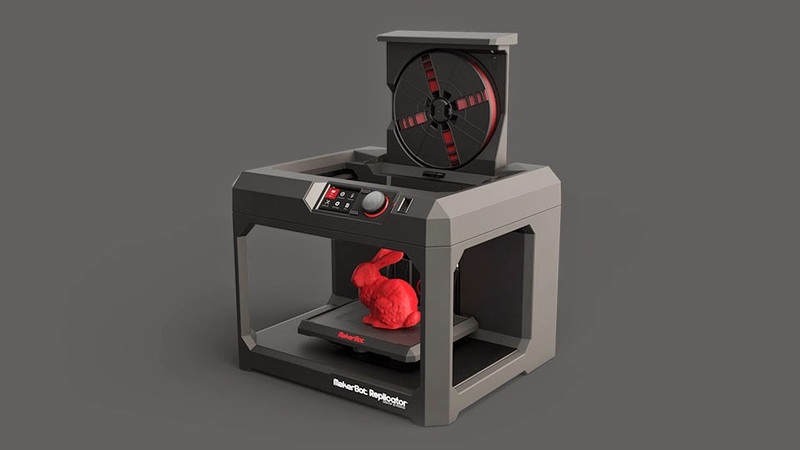 So what better way to keep up than with your own home 3D printer, such as the MakerBot Replicator. Design your own creations or download one of the many publicly available designs for a quick start. The only downside is that at $2899 it's not cheap. For a more affordable alternative, check out the 3Doodler Enthusiast Bundle for $170. It's a pen-based 3D printing tool complete with starter kit of supplies. A great way to get your loved ones feet wet before taking the big step to a full-blown printer. Wildlife Photography: Birdwatching is one of the oldest citizen science fields and one that remains highly popular to this day. It is great for solo amateurs as well as people wishing to join large citizen science projects. So there are always good gift options for them. This year I'm recommending the Windscapes Timelapse Camera. Place it out in the wild or just your backyard, and beautifully capture all the feathered visitors for posterity. And if you are so inclined, it can help with species identification and your involvement in any number of projects, such as Project FeederWatch or the Great Backyard Bird Count. All for the price of $78. Astronomy: Citizen scientists don't just stare down into tiny cells. They also love to gaze high into the heavens. And when they do, projects like the AAVSO Citizen Sky program are available and looking for volunteers. So you can enjoy the night sky while making meaningful research contributions. 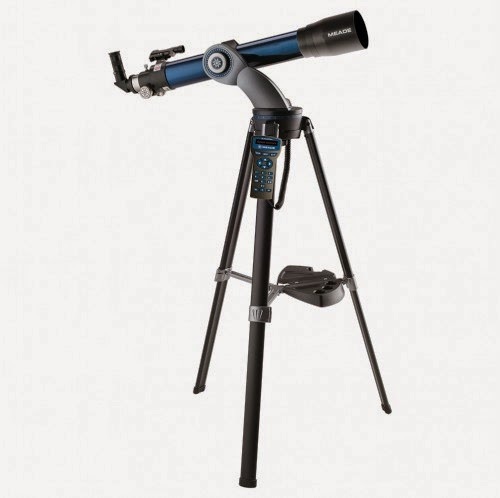 My recommendation for a good starter telescope is the Meade StarNavigator 102. It comes with and and comes well reviewed by many reputable review sites. But if this specific one doesn't work for you many buyers guides are available, such as this one at Space.com. Board Games: Citizen scientists aren't always wandering the woods are out sky watching late at night. They enjoy a restful night at home with their families too. So this year I also found a few board games for family game night the first is Compounded. A game for 2-5 players, each person is a lab manager who must build various compounds by managing their elements and trading wisely with other players. Perfect for the chemist in all of us. 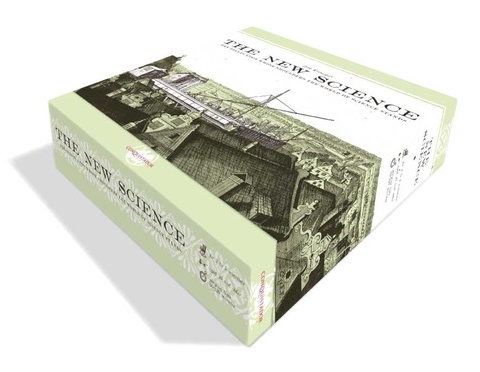 For those with a more historical bent, The New Science let's you take on the role of a famous 17th scientist. Help them perform their research, publish their studies, and climb the ranks of the Royal Society. Many Society members (and the scientists featured in this game) could be considered citizen scientists as well so it's a perfect fit for us! Still trying to find that perfect something? Check out my 2012 Citizen Science Holiday Gift Guide for even more great gift ideas. Last week I started looking at how effective crowd-funding has been to the citizen science field by searching for projects specifically designating themselves as being "citizen" science. But instead of cataloging hundreds of projects (as expected) I only found 18. So this week I'm greatly expanding my search by looking for projects that don't call themselves citizen science, but which really are when reviewed closely enough. Obviously the main goal is to continue uncovering the best way for citizen scientists to take advantage of the rise in crowd-funding. But it's also beneficial as we try to understand the business and economics of citizen science; using crowd-funding insights to identify and model citizen science based businesses as well. Performing this analysis meant reading through hundreds (though it seemed like thousands) of projects somehow tagged or categorized in each site's systems as being in the area of "science". This may have left out a tiny few potential citizen science projects, but it's still a very large sample size and certainly representative for identifying never gong citizen science models and spotting interesting funding trends. For the project population I used all publicly available information from Kickstarter, Rockethub, IndieGoGo, PetriDish, and Experiment.com (formerly Microryza). These are many of the most popular and best known sites that should cover the large majority of potential,projects. When reviewing each project I tried to use the definition of citizen science I've described in previous posts ("The systematic collection and analysis of data; development of technology; testing of natural phenomena; and the dissemination of these activities by researchers on a primarily avocational basis"), as well as the recent OED definition and Muki Haklay's discussion of it ("Scientific work undertaken by members of the general public, often in collaboration with or under the direction of professional scientists and scientific institutions). I also used the rules of thumb described in my three-pronged test (unfortunately those rules of thumb did not help me as well as initially hoped and have led me to thinking of ways to change them...more on that another time). But once I dove in there were a lot of "grey-area" projects that were had to classify as citizen science or not. So I had to add the following rules that narrowed the pool of projects and ensured they were truly represented the spirit of citizen science. Projects had to receive at least a minimal level of funding support. It turns out there are many projects that received $0 or just a few percent of the requested amount. In my mind these are project profiles that were never completed, or that the requester themselves didn't have full confidence in. If they could not even convince one or two people (even friends or family) to contribute it makes me doubt the seriousness, and usefulness, of the project. So these have been left out of the analysis. Projects could not be based on Pseudoscience. Although I can't disprove the existence of ghosts or UFOs, this is not the types of citizen science we are looking for. The same goes for the use of science to support different types of new-age spiritualism or religion. STEM and educational projects needed to have "new discovery" component and could not be for standard science training. There are many worthy projects devoted to purchasing lab supplies for classrooms, creating science education videos, or encouraging science experimentation by youth. But to be truly considered citizen science (in my opinion), one needs to be performing scientific work that should be advancing the field of study. That doesn't mean youth can't participate in citizen science since they can make solid contributions to advancing society's knowledge in many ways. Not at all. But if they are just performing standard scientific experiments that is not part of a greater research goal, then it is not citizen science. This could be a much larger debate for another time, but suffice it to say this did not enter my analysis. The one exception to this rule is when the educational opportunity supports citizen science. Typically this is found in projects that include adult education along with youth. We already know that successful citizen science projects often contain an educational component to both 1) explain the project so volunteers can perform their roles correctly, and 2) potential volunteers often see the learning experience as a perk of participating. So these adult science education projects take care of the training requirements and prepare people to be successful citizen science participants, and that makes them a type of citizen science project too. A lot of of interesting things popped out from my initial analysis (which can be found online here). But first the facts. Between projects that specifically include the term "citizen science" as well as those just including the vague term "science" anywhere in the title or project description, there were only 80 projects since 2010 that can be considered citizen science. This is much smaller than I anticipated given the tens of thousands projects currently listed among the targeted sites (Kickstarter alone has listed nearly 200,000 projects itself). And of those projects they all added up to a total requested amount of less than $1 million dollars ($960,045). One silver lining is that of those projects listed, two out of every three did meet their funding goals and overall the projects raised nearly $600,000. Unfortunately the average project only received $12,000. So I'm forced to re-iterate the feeling that citizen science itself is not enough to draw crowd-funding. Instead requesters must show the innate importance and worth of each project, as well as the excitement value. They also need to make significant efforts to market these projects to potential funders. There are many web sites and reports about ways to market crowd-funding projects, but nearly all say you have to work hard to do it and can't just rely on the listing itself. This is a huge topic...perhaps we can get more into it in a future post. For the time being we still have a lot to work from based on the listing of citizen science crowd-funding projects. As an initial step, below are a number of categories of projects found during my research. These may change over time, but they seem to be a great place to start the conversation. So I'd encourage you to look at the listing itself and the categories below, and let me know your own thoughts. That's the only way to improve our understanding. Device Creation: I expected to find a number of these, and projects like "miniPCR: A DNA Discovery System for Everybody" and "Dotlens - The $10 Smartphone Microscope" certainly fit the bill. These are people who want to build a machine or device (using science and engineering principles) outside of a company structure. In my mind, they are just individuals with a scientific idea and who want to turn it into a product. In many ways this is citizen science since the person is a member of the public (outside of the "mainstream" scientific community) and is performing research to build and design the product. While I found many products proposed for development, most seemed to be run by small companies, or by students/recent graduates who are already trained in those fields. So it is difficult to classify these as "citizen-led" and thus not citizen science. While I did not include data on "non-citizen science" projects in this analysis it is certainly a ripe area for more research. Anyone is welcome to copy my data and manipulate it for their own purposes, and to add on as much additional information as they like. Just please let us know what you find so we can share the word with everyone else. Community-Based Environmental Research: Many environmental research projects look like traditional scientific research projects and don't mention citizen science at all. But they are strongly reliant on volunteers from the local community and are often begun with the goal of improving the health/safety of community members. The volunteers may play a wide variety of roles, from helping to design and even fund the study, to collecting samples or performing analyses. 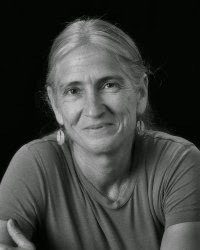 Some of the examples I found (such as "Solving Critical Water Issues on Pine Ridge Reservation, South Dakota" and "White Earth Nation in Minnesota: Water Monitoring to Ensure Healthy Wild Rice") specifically involve Native American communities, and there may be socio-cultural reasons for that specificity. But there are also non-native examples and I see no compelling reasons not to expand this to any other local community. Science Buildings and Spaces: Citizen science does not need to be a solitary pursuit. Over the years group of citizen scientists have organized themselves into supportive communities, and now these groups want to create a physical space for themselves. One of the main benefits is using it as a shared research space for the members. This allows expensive science equipment to be purchased and shared by citizen scientists who could never afford it on their own. It also allows experimentation in a safe, environmentally sound manner typically not possible in an individual's basement lab. Secondarily, these spaces also provide a common space for citizen scientists to learn from each other. They also offer space for bringing in guest speakers and organizing group research projects. Examples include "Forging 'The Forge' Downtown" and "BioCurious: A Hackerspace for Biotech. The Community Lab for Citizen Science". Scientific Equipment and Supplies: Like the building spaces described above, there are often projects to purchase supplies or equipment to be shared by a group of citizen scientists or to be used in a specific citizen science project. There are also smaller projects where individual citizen scientists are asking for assistance purchasing equipment they can't afford themselves, and not for any specific purpose. Just to use for the thrill of discovery. "Black Rock Observatory" and "Raising Money for a 3-d Printer" are good examples of these two models, respectively. Educational Materials for Citizen Scientists: Distinct from projects benefiting youth, these projects have a wide variety of ages in their audience and can be used to either promote the sciences (and citizen science) or directly support the educational development of citizen scientists. "Astronomy on the Road" and "Science Education for Adults" are illustrative examples. Publications: This type covers a couple of different things. The first publication model is creating magazine-style periodicals documenting the citizen science experience. This includes citizen science news, profiles of projects and individual citizen scientists, and discussion of emerging trends in the field. Citizen Science Quarterly and "Power Up the Voice of the Scientific Crowd"are great examples of this. Another model is the scientific journal model that offers citizen scientists opportunities to publish their research, or for publication of experimental protocols members of the public can use. "Protocols.io - Life Science Protocol Repository" is a great example of this. I have this blog as an outlet for my research. But not everybody takes that path. Gatherings: The publications and building spaces described above are great opportunities for citizen scientists to communicate with each other and enjoy being part of a larger research community. Another way to do this is through conferences and festivals devoted to citizen science. Like the upcoming 2015 Citizen Science Conference, the Mozilla Festival East Africa and Open Science Summit 2012 were designed to connect independent researchers to each other and encourage the sharing of ideas. Science-based Art: Finding the "Bro-BOT: Open-Source Robotic Drummer - Sci Fi Fantasy Band" project on Kickstarter was a pleasant surprise. It shows not just the power of science and engineering, but the fun side too. In this case a rock band is performing its own research and design work to create a robot drummer who can play with them on stage. Not only will this drummer keep perfect time and participate musically in the band's sound, but it also provides a novelty for the crowd and a demonstration of the coolness of science. I know many artists are interested in melding art and science so hopefully we will see more hit the crowd-funding space in the near future. Those are some of my early thoughts. But I think we've just scratched the surface of insights that can be gleaned. There is much more additional analysis that can occur and many of these ideas can be further fleshed out. There are also important questions on what people can do to improve the fundraising success on these types of crowd-funding sites. And we still have to find what it teach us about ways to make citizen science profitable for citizen scientists themselves. All those are coming in future posts. I promise! But in the meantime won't you join the conversation? Let me know if what I found is similar to your experience, whether you think I've missed something important, of if you want to expand on any of these ideas. I'd love to hear from you. 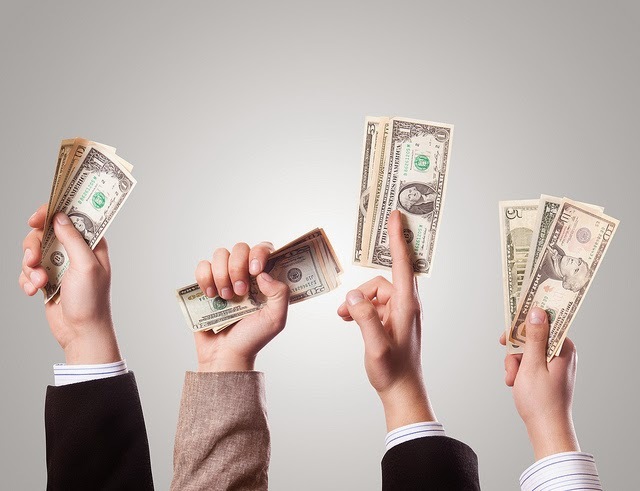 Crowdfunding Citizen Science: Is it Working? Funding for citizen science has been preoccupying me recently. In most cases I think about creating business models that can develop and use funds that support the field. But that's not the only option. Scientists are well-versed in requesting grant funds for citizen science support, and over the last few years crowd-funding has also been used. In fact the 2015 Citizen Science Conference is requesting crowd-funding assistance. But is it working? I've done a (very) preliminary analysis and made it publicly available on the web. Feel free to add or modify if you'd like. You'll see this not a rigorous analysis...just a basic search of four sites (Rockethub, Experiment, IndieGoGo, and Kickstarter) for the phrase "citizen science." While this leaves out many potential projects it still reveal a lot for or purposes here. I thought this would take a significant amount of effort..sadly that was not the case. For starters, I only found 18 projects spanning the last few years. Why is this? Partly I think it's indicative of how citizen science (as a term or identifiable field) is still not completely mainstream. So projects that may be citizen science by our definitions would not use that phrase to describe or market themselves. Even the total of all these projects came out to a mere $81,000. Citizen science can be an extremely cost effective way to do research, but $81,000 is not nearly enough to cover its costs. Especially when those projects only raised $62,000 (76%) of that amount. Something is missing. Looking even more closely at these individually, many are not specifically citizen science projects. Instead they use citizen science as one small part of the research, or it is an educational project that impacts citizen scientists as one of many audiences. Again, this is not enough to make a significant impact. But maybe we are looking at this in the wrong way. This simple analysis only looked for projects that included the specific "Citizen Science" phrase. Would evaluating projects ourselves for a citizen science connection (without relying on text searches) teach us something? The good side of this is how vividly it demonstrates the potential support available for citizen science projects. The public is interested in this research and the products it creates, and they are willing to fund it. Literally millions have already been spent and much more can come in the future. Unfortunately, the bad side is it further demonstrates the lack of "pull" the term citizen science has for inspiring the public. In my view potential funders either a) don't feel connected to the term, and 2) care more about individual projects and not the field as a whole. So there is still much hope for project leaders who make their research interesting to the public. But just relying on goodwill sadly won't cut it. There is already a wealth of information on successfully starting a crowd funded project ( such as here and here) so I won't reinvent the wheel. But these should apply to citizen science projects just as well as they do to any other type of project. This leads me to re-starting the analysis while asking a whole new set of questions. How do we identify other citizen science projects for additional analysis? Can we categorize these "non-traditional" or "emerging" types of projects into a useful model? What might that model teach us about ways to make citizen science profitable for citizen scientists themselves? The answer to all is I don't know. But next week I'll try to answer. 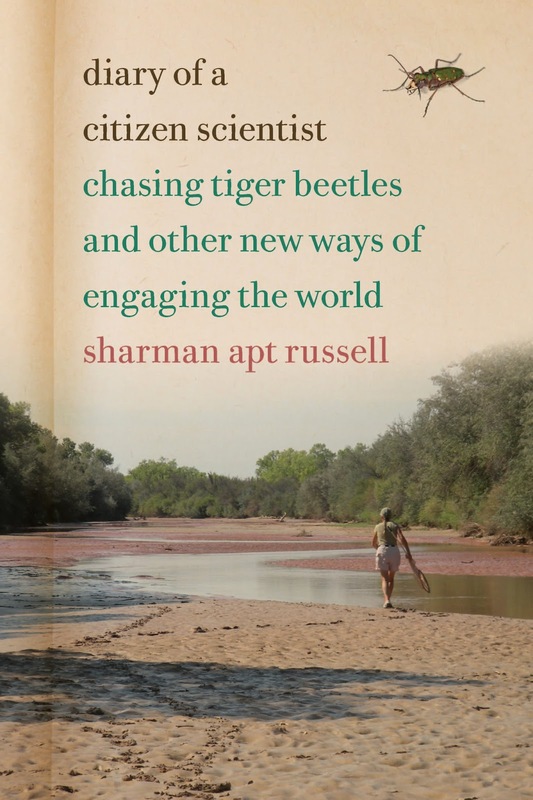 Last month Sharman Apt Russell published the new book "Diary of a Citizen Scientist: Chasing Tiger Beetles and Other New Ways of Engaging the World." After reading it through I was amazed at how well she captures the thrill, the curiosity, and the fun of citizen science. From her home in New Mexico's Gila Valley she writes extensively about her time researching tiger beetles. Not just catching them, but raising the larvae and making new contributions to science's understanding of them. Through contacts with professional entomologists who guide her through the process, she is able to observe parts of the tiger beetle life cycle never seen before. That's a joy as a researcher, and even more so as an "amateur researcher". But she doesn't stop there. She also writes about the field as a whole and the many citizen science projects that are growing by the day. Some you've read about here before, others are quite new. But all help us find new ways to engage and enjoy our world. As a treat for you I'm proud to offer an excerpt from the book below. I think it does a great job of capturing not only the essence of the overall book, but also the joy and wonder of citizen science. Hopefully you'll enjoy it too, and if you do, I encourage you to pick up a copy through the OSU Press ordering site (here), Amazon.com (here) or at your local bookstore. You'll be glad you did. Only a year ago, NASA’s Stardust@Home project started posting images online from its interstellar dust collector, and citizen scientists eagerly began looking for stardust particles. Could people be trained to classify galaxies, too? You brighten up. A British hurrah. You publicize your idea, you set up the website, and within twenty-four hours, you are getting almost seventy thousand classifications an hour. In the first year, you will get fifty million.That’s the apocryphal story behind Galaxy Zoo, a citizen science program that has since resulted in dozens of peer-reviewed scientific papers, as well as discoveries like “green-pea” galaxies, which produce stars at a high rate and may help us understand how the first stars formed. Each galaxy classification by a single volunteer is corroborated by thirty more volunteers, with a resulting accuracy equal to that of professional astronomers. The universe—which may contain as many as five hundred billion galaxies—is slowly being mapped by cartographers of all ages, all occupations, and all nationalities. Around the world, citizen science projects are proliferating like the neural net in a prenatal brain. The sheer number of citizen scientists, combined with new technology, is beginning to shape how research gets done. Some 860,000 people have participated in Galaxy Zoo and related projects on the website Zooniverse. More than a quarter million play the video game Foldit, helping biochemists synthesize new proteins. The National Geographic Society’s search for archaeological sites in Mongolia sends satellite images from the field to thousands of citizen scientists downloading them at home. The use of crowdsourcing to take advantage of large numbers of human eyes and brains has inspired the development of algorithms to improve how computers themselves work; like Yoda, we can teach them our mysterious ways. Although the biggest citizen science programs are online, many other citizen scientists are getting up from the computer, going outside, and joining a research team to study urban squirrels or phytoplankton or monarch butterflies. Most obviously, they help scientists count things: juniper pollen, comets, horseshoe crabs, dragonfly swarms, microbes (in your belly button and in your kitchen), picas, thunderstorms, roadkill. An estimated two hundred thousand people work with the Cornell Lab of Ornithology tracking and monitoring birds, with over a million observations reported each month on the Lab’s online checklist. Citizen scientists also double as environmental activists, collecting air and water samples, documenting invasive species, and looking at changes in species behavior. An army of human volunteers has become an army of scientific instruments, and that’s not a new idea. In China, people have been recording locust outbreaks for over three thousand years. French wine growers began tracking grape harvests in the fifteenth century. Charles Darwin relied on a network of amateurs for observations of the natural world, working-class men and middle-class women, vicars and shopkeepers with whom he corresponded by penny post. Today we’ve replaced the pen with the login, using the Internet to communicate in ways that make large-scale, long-term projects possible. One of the newest and potentially most important branches of citizen science is the analysis and understanding of global warming, with programs like Nature’s Notebook and Project Budburst using volunteers to monitor plant and animal responses to a changing climate. What plants are budding when? What birds are here now? What insects have emerged? In Portland, Oregon, a couple and their two children walk the trails of urban parks watching for the first leaves of kinnikinnick, the flowers of Indian plum, the fruits of the mellifluous salmonberry, snowberry, thimbleberry. Before the start of spring, the trilliums are underground and the snowberry leafless. Suddenly the Oregon grape has clusters of yellow flowers that attract hummingbirds. Warmer and longer days bring more color and scent, camas lily and bleeding heart and lupine and salal and wild rose, and then in the fall, maples turn red and the leaves of Solomon’s seal yellow and gold. Carefully, the oldest daughter records this information online. Conscientiously, the family marks the appearance of spotted towhees and northern flying squirrels, the absence of Pacific tree frogs. Their efforts are being duplicated across rural and urban America by thousands of men, women, and children. This is renaissance, your dentist now an authority on butterflies and you (in retrospect this happened so pleasantly, watching clouds one afternoon) connected by Twitter to the National Weather Service. This is revolution, breaking down the barriers between expert and amateur, with new collaborations across class and education. Pygmy hunters and gatherers use smartphones to document deforestation in the Congo Basin. High school students identify fossils in soils from ancient seas in upstate New York. Do-it-yourself biologists make centrifuges at home. This is falling in love with the world, and this is science, and at the risk of sounding too much the idealist, I have come to believe they are the same thing. My own work with tiger beetles, under the guidance of two generous mentors, was done mainly during the field seasons of 2011–2012. The entries that make up this book describe that fieldwork and have been shaped from written notes and the observations of those two years. In the larger world of citizen science, not much has changed from then to the writing of this introduction now. Only the numbers have increased: more and more people are watching birds, taking water samples, staring into the heart of a red spiral galaxy, marrying curiosity with collective power, waking up and thinking--what am I going to study today?